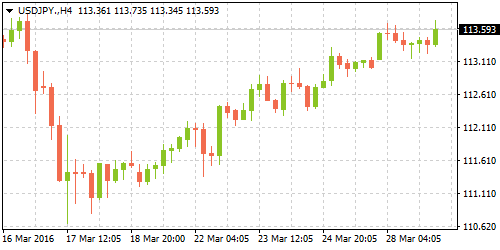 The US National Association of Realtors Pending Home Sales Index, a forward looking barometer of the housing market which tracks signed but uncompleted contracts, increased to 109.10 points, or rising about 3.50% in the month of February, posting a 7-month high. 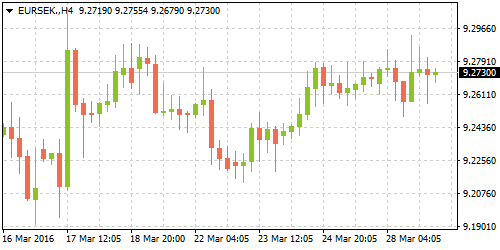 Economic data from Japan released earlier today showed that the country's unemployment rate ticked higher from 3.20% in January to 3.30% in February, missing forecasts of an unchanged print. 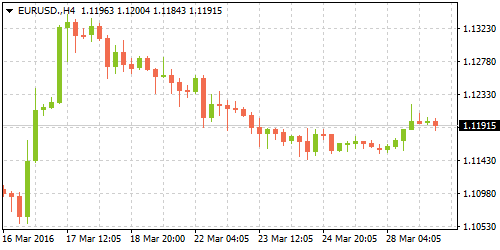 Simultaneously, retail sales data showed a decline of -2.30% on a month over month basis in February, more than the 1.10% decline seen a month ago. On a year over year basis, Japanese retail sales managed to rise 0.50% above forecasts of 0.40% and reversing some of the contraction from January's 0.10% declines. The tepid data is being seen as a strong case for the BoJ to ramp up its QQE stimulus program in April. The US PCE data released by the Commerce Department yesterday showed the month over month increase in the Core PCE price index by only 0.10%, less than the expected 0.20% increase. February's numbers follow January's increase of 0.30%. The headline PCE price index grew at a slower pace of 1.0%, down from the 1.30% increase seen in January. The weak results in the PCE is likely to take the pressure off the Federal Reserve to hike rates any time soon. Janet Yellen and other Fed member's biggest concern was the fall in inflation expectations which has been running consistently below the 2.0% target rate. On a quarterly basis, US PCE excluding food and energy was up 1.30% in the fourth quarter of 2015. Following a steady print in January, Sweden's retail sales numbers due for release today are expected to show a 4.10% year over year increase in the month of February while on a month over month basis retail sales are expected to rise at a slower pace of 0.40%, down from January's 0.70% monthly increase. Durable goods were the biggest drivers in retail sales in January, rising 5.60% while consumer goods increased 1.90%. January's positive retail sales reversed the 0.90% decline in December 2015. Economic data from Sweden for the month of February has been so far encouraging. Consumer inflation increased by 0.30% on a month over month basis while on a year over year basis, CPI increased 0.40%, although smaller than January's increase of 0.80%. The Swedish Riksbank cut rates in February by 15bps to bring the repo rate to -0.50%. Federal Reserve Chairwoman, Janet Yellen will be speaking at an event today and the markets are certainly going to pay attention. With most of last week's Fed member speeches coming out strongly in support of rate hikes with a view for April rate hikes at the earliest, Ms. Yellen's comments will be closely monitored. 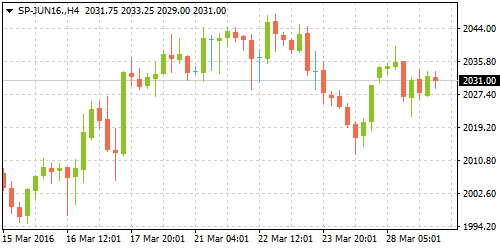 Expectations that the Federal Reserve Chairwoman would take a neutral ground is quite likely especially in view of the recent FOMC decision where rates were left unchanged and sending a dovish signal to the markets. Not much of economic data has changed between then and now and Ms. Yellen is likely to keep the status quo going. Besides Ms. Yellen's speech, Dallas Federal Reserve President, Robert Kaplan is also due to speak, although currently a non-voting member of the FOMC board.